Many of us keep hearing how great antioxidants foods are but not a lot of people know their exact benefits. Antioxidants are great for their ability to fight cancer, aging, and other diseases. They are not miraculous but they do help you stay healthy for longer. Adding foods that have them to your diet is a great idea. 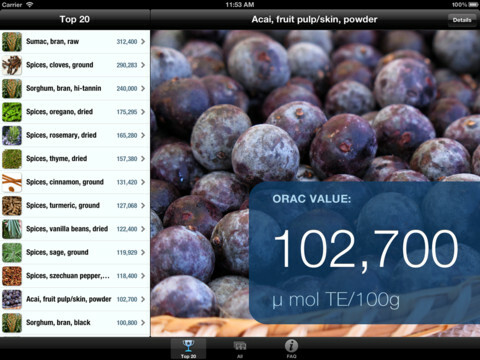 Antioxidants Plus for iPad is a cool application that helps with that. Antioxidants Plus provides you with the ORAC values of over 350 foods. You can quickly scan through the foods to find those that interest you. 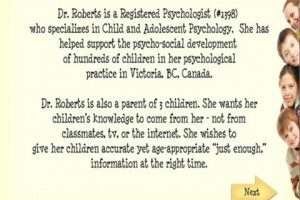 The database is searchable and sortable. 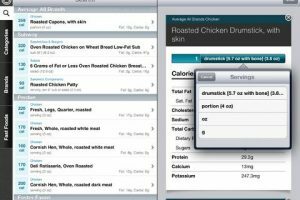 The app shows you the antioxidant capacity of foods and supplements, so you can customize your diet accordingly. Users are provided with useful description for each food too. 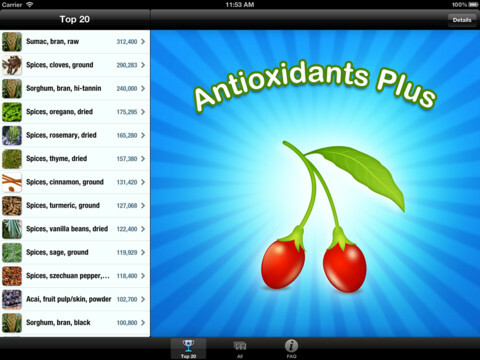 Antioxidants Plus is a pretty awesome app for those who want to add antioxidants to their diet. It has plenty of foods and makes searching through them easy. What’s not to like?